CANBERRA, Australia, March 14, 2012 (ENS) – The Australian government has approved a bill creating the country’s first nuclear waste dump, over the objections of aboriginal and environmental groups and the Australian Greens. 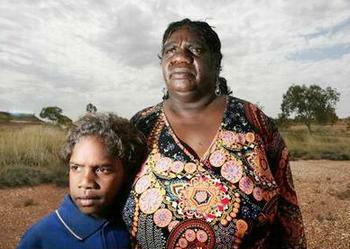 The Senate passed the National Radioactive Waste Management Bill 2010 last week that provides for storage of nuclear waste in Muckaty Station, a remote aboriginal community in the arid central region of the Northern Territory. The measure was approved by the House of Representatives earlier and now goes back to the House for consideration of amendments that passed the Senate. 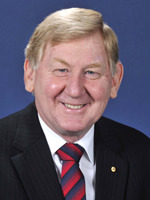 Resources and Energy Minister Martin Ferguson welcomed the passage of the bill because he is concerned that the radioactive waste is currently held at over 100 “temporary” sites at Australian universities, hospitals, offices and laboratories. But conservationists and opposing politicians say the fight against the dump, like the waste, will remain hot for a long time. 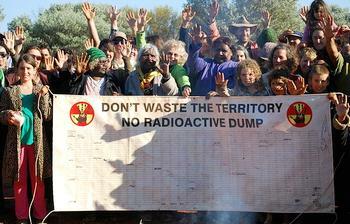 The Australian Greens have vowed to step up the campaign against the planned nuclear waste dump at Muckaty Station. 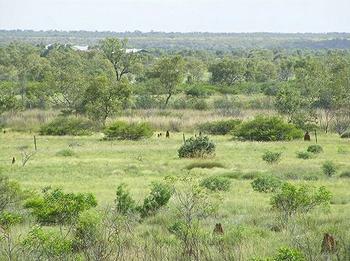 “The locals don’t want it and the Northern Territory government does not want it. Traditional owners visited the parliament and Dianne Stokes wept here in this very place telling the story of her country,” said Ludlam. Senior aboriginal traditional owners from the region are taking action in federal court to stop the unpopular dump and a growing number of indigenous, public health, environment and faith groups, trade unions and the Northern Territory government all oppose the waste dump plan. The Greens have pushed for the creation of a commission of experts to determine how best to deal with radioactive waste in Australia, rather than concentrating the decision-making power in the hands of one minister. The Greens fought the bill for two years, and secured an amendment to ensure no international nuclear waste is stored in Australia. “The Muckaty plan is most definitely a bad deal, but it is certainly not a done deal and the fight, like the waste, will remain hot for a long time yet,” said Sweeney. The Beyond Nuclear Initiative said the radioactive waste management legislation passed by the Senate is “deeply flawed” and will not slow down its campaign against the waste dump. But Ferguson points out that the legislation requires a site to be volunteered by the landowners before being subject to regulatory assessment. A facility can not be automatically imposed on a community in any state or territory. Affected landowners and communities must be consulted, and the selected site will go through full environmental, heritage and other approvals processes. The bill provides two nomination processes: a Land Council to volunteer aboriginal land on behalf of traditional owners, and a nationwide volunteer site selection process. The legislation recognizes that Ngapa land on Muckaty Station was volunteered by its owners and nominated by the Northern Land Council in 2007, Ferguson said. In fact, one group of traditional owners volunteered the land, but that move is being contested in federal court by other traditional owners from the area. Ferguson said the government will not act on this site until this case is resolved by the court. 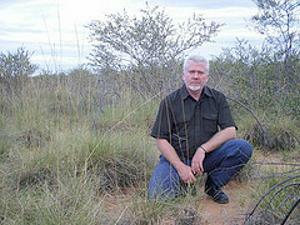 Lawyer George Newhouse, representing the traditional owners, says the nomination of Muckaty as a proposed site is void.